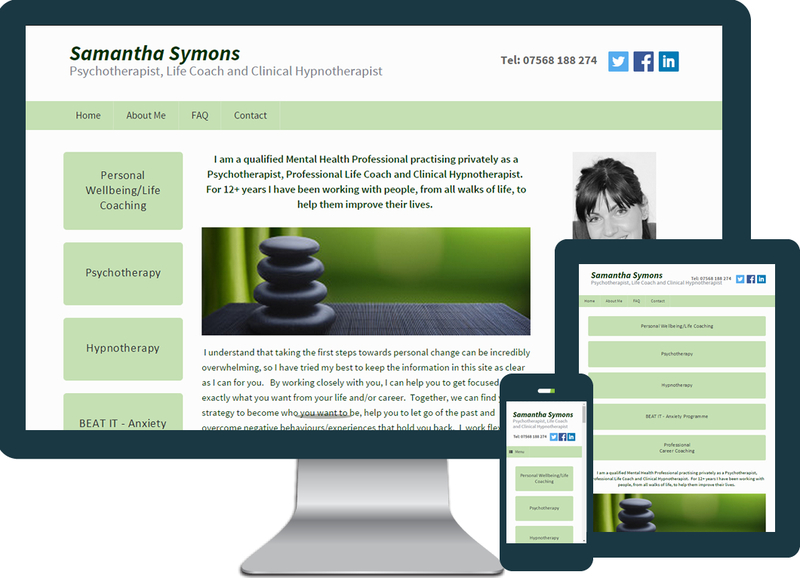 Samantha Symons has over 12 years experience as a Mental Health Professional. She needed a website that showcased her skills and help to promote her new private practice as a Psychotherapist, Professional Life Coach and Clinical Hypnotherapist. The site was built using WordPress as Samantha wanted to be able to edit/update pages as and when required. Potential clients can now contact her to arrange appointments and enquire about any further info. The site is fully responsive so can be viewed effectively on mobile and tablet devices.